Cas Hanwei V-42 Letter Opener | BUDK.com - Knives & Swords At The Lowest Prices! 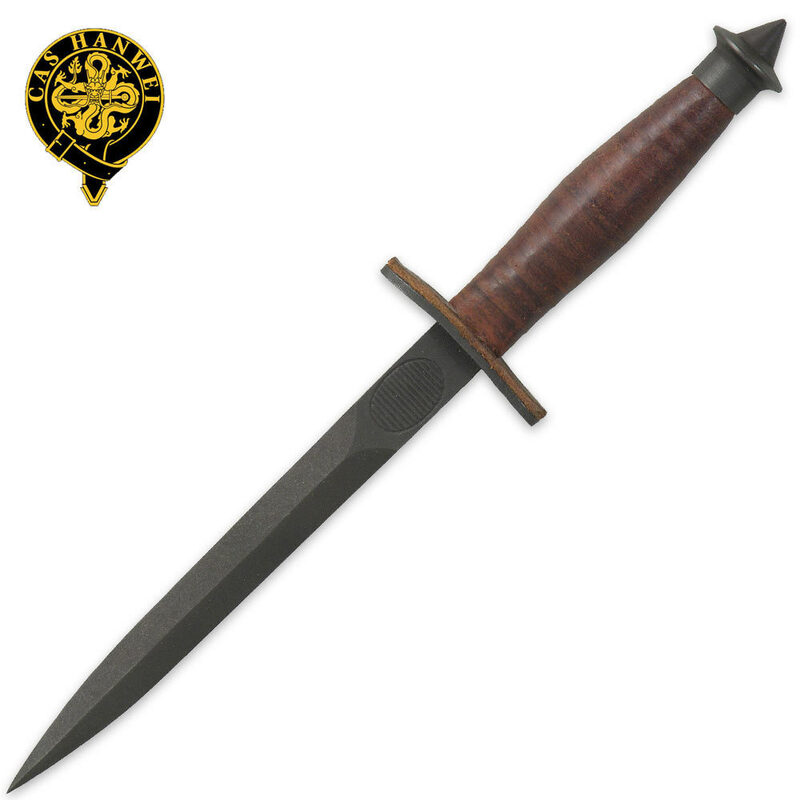 The V-42 Dagger was a specialized fighting knife designed by Major General Robert T. Frederick for the First Special Service Force, or Devil's Brigade, of which he was commanding officer. This unit was a special paratroop unit formed from volunteers of the US and Canadian Military to perform commando type operations behind enemy lines during WWII, and its members were trained extensively in the lethal use of the knife. This V-42 letter opener features a steel blade and a stacked leather grip handle with authentic details.